Bernie Sanders’s candidacy has recently been attacked from several different vantage points. Democrats such as Hillary Clinton have criticized his record on gun control, while Republicans such as Donald Trump have characterized Sanders as a “maniac” who wishes to “take everything.” However, it’s important to note that all these attacks are centered on issues of policy, illustrating a change in the American mindset. Sanders has faced virtually no criticism over what in the recent past would have been a major issue: his religious views. Sanders is Jewish, something that would have been a deal-breaker for any presidential candidate just a few generations ago. In 1937, Gallup took a poll asking Americans if they would vote for a qualified Jew as president. Only 46 percent of respondents said yes. Seventy-eight years later, this number had risen to 92 percent. This trend can partially be explained by a rising level of tolerance in the American public. While vociferous anti-Semites such as Charles Lindbergh and Henry Ford were able to freely share their bigotry during that time period, a modern figure sharing such views would be met with universal condemnation. Of course, Jews aren’t the only religious minority affected by this phenomenon. John F. Kennedy’s Catholic faith caused so much concern in the lead-up to the 1960 Presidential Election that he famously proclaimed that his duties as an American would take precedence over his personal beliefs. It’s hard to imagine any candidate having to do this today. In our last presidential election, both vice-presidential candidates were practicing Catholics with the media paying little to no attention to their religious affiliation. Some of this bigotry has not disappeared but has simply been transferred to other minority groups. Two months ago, Ben Carson said that he would not agree with a Muslim being elected president, with his campaign manager later clarifying that the tenets of Islam are incompatible with the Constitution. Carson was using a more socially acceptable type of bigotry. According to Gallup, only 45 percent of Republicans were willing to vote for a Muslim. Though it’s not acceptable to publicly antagonize Jews anymore, Muslims are still fair game. Of course, the Constitution forbids any type of religious test as a prerequisite for holding office. Thankfully for Carson, pandering to xenophobes is still protected by the First Amendment. Increased tolerance toward Jews isn’t the only factor at play. The importance of religion is receding in American public life, as more and more younger people show a greater willingness to accept candidates that do not identify with any religion. According to Gallup, 58 percent of Americans would vote for an atheist candidate, up from 18 percent in 1958. This willingness to vote for an atheist varies significantly based on age group. Seventy-five percent of Americans aged 18-29 answered yes to the question, compared to 48 percent of Americans above the age of 65. It’s clear that young voters increasingly believe that belief in God isn’t a requirement for being a great leader. 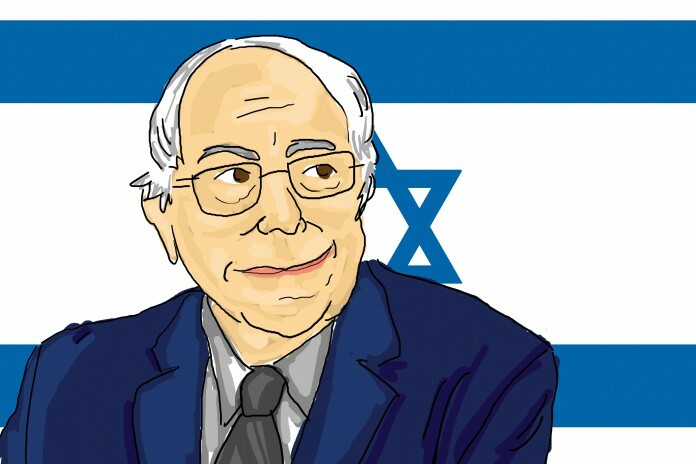 Not too long ago, it was unimaginable that a Jew could be a serious candidate for president. Americans are slowly overcoming the antiquated idea that only a Protestant can properly run the country. Though intolerance still exists, polls show that it is falling to lower levels than ever before. The fact that Bernie Sanders can run on his own merits without attention being focused on his religion shows that America has changed for the better.